A strong sales culture starts with YOU sales leader. Before anyone works for you, they're checking YOU out on social media. If you're invisible, or worse, if you are out of touch, you'll hire people who will be invisible and out of touch. Social media for sales leaders and sales professionals isn't new - it’s been around since the days of Usenet – we just didn’t call it social media. But it’s never been so public, so easy to use and such a powerful tool to share your personal brand and attract sales professionals that embody your culture. Learn how to better understand and embrace social media, and how can you use it to shed your cloak of invisibility and help manage your team, your career, and your professional image. 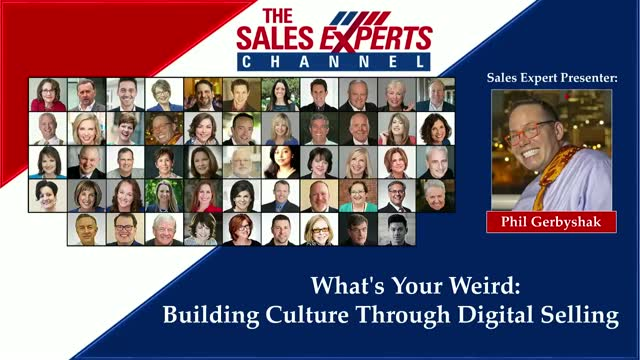 1.How to brand yourself boldly and show off your personal “weirdness” or what makes you different from every other sales leader. 2.How create personal connections and strong relationships with your ideal sales professional.